Ten years ago, the idea that Colombia would become a burgeoning hub for any dynamic industry beyond its notorious drug trade would have struck most observers as far-fetched. As recently as the turn of the century, conventional wisdom had it that the tropical, Andean nation was on the verge of becoming a failed state. Fast forward to the present day and Colombia already boasts one of the region’s stronger startup ecosystems, with huge potential upside still waiting to be explored. By 2018, the government hopes to have 63 percent of the country connected to broadband. And according to 2013 GSMA mobile economy figures, there are already 43.9 million mobile connections and 24 million mobile users in a country whose 47 million people give it the third largest population in Latin America and third largest Spanish-speaking population in the world. These and other figures are highly encouraging for people looking to tap a rapidly growing market, and it follows that a stronger internal tech culture will also form the groundwork for Colombia’s own aspirations in the field of innovation. The first stage of the government’s concerted campaign to rebrand Colombia as a technology center involved drawing in IT services with tax incentives and professional training programs. A $6.8 billion industry has taken strong root as a result, with 1,800 software development and IT service companies registered in the country. Looking forward, the hope is that IT, and the investments that went into promoting it, can diversify into a broader innovation ecosystem. With that in mind, the government has spurred a number of public initiatives to address the lack of venture capital in Colombia, currently the biggest ceiling on startup growth. Founded to support and promote tech innovation and new ventures, iNNpulsa awarded three grants of up to $800,000 in 2013 to investor groups establishing operations in Colombia. Apps.co is another, more tech-specific, government initiative. By the end of 2014, it’s expected to have awarded $33 million in funding to accelerators and university partnership programs, according to the Atlantic. Where once there was nothing of the sort, there are now 38 private equity, venture capital or seed funds in the country. These and other efforts have succeeded in convincing big names like Facebook and Google that a favorable labor market and budding consumer base are worth investing in, with both companies opening permanent Colombian offices in recent years. Where the government’s strategy has so far fallen short, however, is in replicating that sort of international success for homegrown Colombian companies. Examples of Colombian startups making a similar leap, or achieving sizable exits at all, are few and far between. .CO is easily Colombia’s biggest startup success story, having been acquired by Neustar for $109 million in 2014. But after that, the field gets noticeably thin. PagosOnline, an online payment platform, and Click Delivery, an online delivery service, have probably come closer than anyone else to following in .CO’s footsteps, and even so, the acquisitions went for a rumored $10 million and $15 million, respectively. The problem is that, while the startup scene is maturing, the investment economy backing it is still in its beginning stages. Although there is debate on which Colombian city will eventually emerge as the country’s startup center, Bogota retains the title up until this point. That’s hardly a surprise, of course. The capital is home to the national government, most of the country’s corporate and financial institutions, and the largest and most diverse ex-pat and immigrant community in the country. Colombia’s most experienced startup founders are from Bogota, including Alex Torrenegra, a serial entrepreneur often talked about as the godfather of Colombia’s startup scene. Torrenegra is the founder of VoiceBunny, a digital voice over marketplace, and one of the few Colombian startup entrepreneurs who has been able to transition to a distinguished international career. Most importantly, his commitment to sharing insights and leadership with the Colombian startup community have set an encouraging precedent. For years and across all industries, Colombia has been on the losing end of an epic “brain drain” that has sent many of its best and brightest abroad for good. Keeping that talent in the country is a key to unlocking the country’s innovation potential, and Torrenegra had done more than his fair share to set an example in that regard. Already, we’ve seen a lot of knowledge brought back and put to effective work in Bogota. Looking at notable institutions like HubBOG, a co-working space and incubator led by Rene Rojas which hosts weekly events and activities, Wayra, an accelerator built loosely according to the Y Combinator model, and Endeavor, a non-profit that supports high-impact Colombian entrepreneurs, it’s easy to see the influence that global perspective is having. Other local leaders include Juan Diego Calle, founder of .CO; Alan Colmenares, considered the heart of Colombia’s startup ecosystem; Catalina Ortiz, CEO of iNNpulsa, Andres Gutierrez and Juan Salcedo, founders of Tappsi; Freddy Vega and Christian Van Der Henst, founders of Mejorando.la, an educational platform that surpassed $1 million in revenue in 2013; Diego Serebrisky, a partner at the Alta Ventures venture firm; and Andres Barreto, who operates government accelerators across the country. Colombians will tell you it’s no coincidence that Medellin won the most innovative city of the year in 2012. Paisas, as its residents are known, are famously business savvy and entrepreneurial–traits that carry as much promise for the future as they have darkness in the past. The local startup scene still lags behind Bogota, but not by degrees, and the weather and business-friendly atmosphere have given it its own unique dynamic. Medellin today does not have the success stories that Bogota can refer to, but many believe that in the next decade it will become the nation’s tech center. In fact, in 2013 the city government committed $389M over 10 years to technology and innovation. 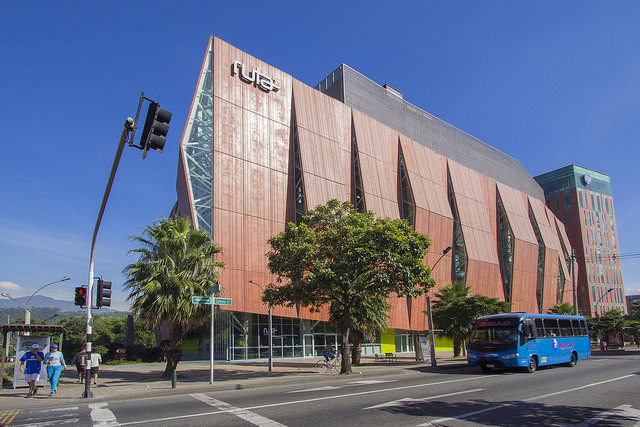 The center of Medellin’s innovation scene is Ruta N, which is a government organization along the lines of Apps.co and iNNPulsa. Last year, it committed $3 million to the Velum Ventures venture capital firm. Other organizations spearheading entrepreneurship include Medellin ACI, responsible for international investment in Medellin, and Creame, a government-supported incubator. Local leaders include Hernan Jaramillo and Roberto Cuartas, founders of TareasPlus, which raised $1.8 million in venture funding in 2012; Eduardo Quiroz of Ruta N; Esteban Velasco and Esteban Mancusco, founders of the venture capital firm Velum Ventures; Juan Sebastian Franco, head of entrepreneurship at ANDI, the locally founded business association, now the largest in the country; and Eddie Arrieta, co-founder of Espacio. Medellin is caught in a paradox. Because it doesn’t have success stories, the investor confidence needed to create new ones is low. Public initiatives have done what they can, but the current system is a weak substitute for badly needed private capital. Although the startup scene is still very much concentrated in Bogota and Medellin, activity is beginning to sprout up in other regions in Colombia. In Barranquilla, on the Caribbean coast, the startup ecosystem revolves around Koombea and its charismatic founder, Jonathan Tarud. Many of the city startups are helped by the company and its has taken a leadership role in the startup ecosystem, becoming active supporters of events such as Startup Weekend, among others. In Cali, the country’s third largest city, large development companies comprise much of the tech ecosystem. The government is working to promote activities in other cities, but the high-end spectrum of the Colombian economy in general is limited to a few cities. Expanding the tech scene, in that sense, may be as much a question of broader development as anything else. Colombia has plenty of work ahead if it wants to assert itself as a legitimate global player. Looking at the bigger picture, though, Colombia does have a number of advantages on that front. This year, Colombia’s GDP has grown faster than any in Latin America — it’s currently the fourth fastest growing in the world — and inflation, though up from 2013, remains low. Poverty, extreme poverty, and unemployment are all down thanks in part to tech-based programs designed to address inequality, and labor formalization is up. So, in comparison to the other emerging Latin American tech hubs — Buenos Aires, Sao Paolo, Santiago — Colombia not only has competitive public incentives, but also the general structural growth that attracts immigration. Brazil, once the darling of global experts, has become mired in economic stagnation. Argentina and Venezuela are approaching crisis conditions, and immigration to the United States is prohibitively difficult. The third-largest Spanish-speaking country in the world, Colombia is essentially fighting for prevalence with Mexico. Unlike Chile, another well-developed country, Mexico has even better relative location to the States than Colombia, but it has an image problem relating to escalating drug violence. By contrast, Colombia is moving toward an end to its 50-year armed conflict. Editor’s note: Conrad Egusa is the founder of Publicize.